Residents at care home in Glasgow have found sparkling success on a jewellery design course. Four residents from Bupa’s Craigbank care home took part in the classes which ran in the local community of Possil Park every Friday, facilitated by the city’s Kelvin College. The residents each achieved an SCQF level one certificate in Working with Craft Tools which provided them with an introduction on how to identify and use various craft tools. 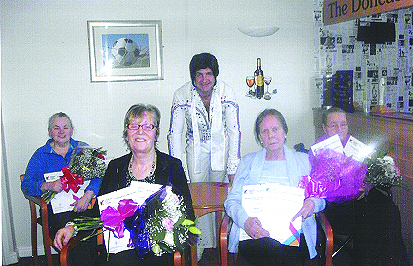 A presentation also took place at the home, with each ‘graduating’ resident receiving a bouquet of flowers. Alan Twigg, Home Manager at Craigbank care home, is full of praise for the success of the residents and is proud of their achievement. “The course has been a great success in providing the residents with new skills and unlocking their artistic potential.